Sometimes, you have to forego the massive trade show displays that can splash your company’s message across the floor space. Perhaps it’s the cost of the displays, or the limited floor space available on the convention floor. 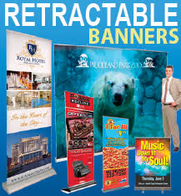 Whatever the case, with a little trade show marketing chutzpah, you can get your message across loud and clear. Here are 4 tips for using small displays to make a large splash. You have limited space with which to work. 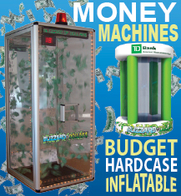 Maximize your chances of getting trade show attendees’ attention. 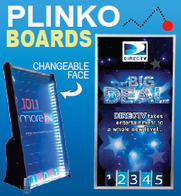 Use pictures on your display that show people smiling while using your products. It has a powerful psychological impact on others (we want to know other people are happy using a product we’re thinking about buying). 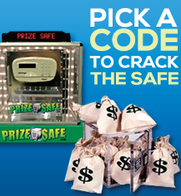 Think of the displays you’ve seen at your competitors’ trade show booths. Often, the visual space is crowded, busy, and filled with so many words and graphics that it takes effort to find the message. Keep your small displays simple and clean. Don’t clutter them with excess words or graphics. In a sea of noise, simplicity is memorable. 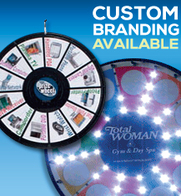 Use a little trade show marketing creativity and design a memorable theme. For example, if you have a booth at a trade show in Newport Beach, use images that remind attendees of the beach. It grabs their attention. They’re walking by your competitors, looking at their displays and are bored stiff. Make yours different. 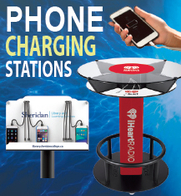 Don’t be surprised if you see smiles on the faces of those looking at your trade show displays. 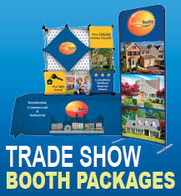 Just because your trade show displays are small doesn’t mean they have to look like yesterday’s pizza box. Dress it up! Use some material and make theater curtains for your displays. Set it on a table that has silk draping over the side. Make it shine so it grips the attention of passersby. The people who mill about at trade shows have likely seen it all. Watch their faces as they walk by the booths of large corporations. They’re bored. They want to see something different. 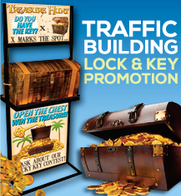 Unleash your trade show marketing genius and use your small displays to turn on the charm. 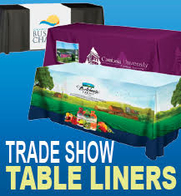 Remember, part of being effective at trade shows is being memorable. Used correctly, a small display can pack a mean punch.